Sometimes purchasing or quiz machine rental is not for everyone so we offer a great profit share service too. We provide a suitable quiz machines for your venue, service it and keep it running smoothly, so it can generating revenue efficiently and providing great entertainment too. We then share the profit with you, no hidden repair costs or surprises. With all our Quiz Machine Hire/Rental and profit share services we include free serving and repair. It is of the greatest importance to us that all our machines we supply are working with as little down time as possible. We are located in the heart of North Wales so our service engineers are close by to quickly resolve any issues, in most cases in a matter of hours and not days like some of our competition. We pride ourselves with and strive to deliver a fast response and quality services for all the venues we support in our area of North Wales, Chester and Wrexham. Amazon Leisure operates over 100 sites throughout the North Wales and Chester area and have been doing so for decades. We have a wide experience with Quiz Machine Hire and Siting throughout North Wales, Wrexham and Chester. We have a large selection of quiz machines with a range of jackpots to suit your clientele and venue. Quiz machines are a great additional to most venues, providing entertainment and fun for your customers and also generates additional revenue for very little space. Our quiz machine experts at Amazon Leisure can help you with any query and help you with quiz machine selection and best practises to site your quiz machine to gain maximum revenue. For more information please give us a call or fill in our website contact form below, or see our Quiz Machine Hire frequently asked questions (below). We provide Quiz Machine profit share, Quiz Machine sales & Quiz Machine hire services around our local area of the North Wales coast and Chester, The Wirral areas. 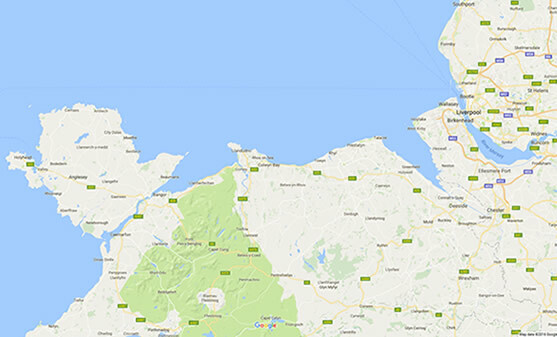 We site machines all over our locality including the towns of Bangor, Holyhead, Caernarfon, Prestatyn, Rhyl, Llandudno and Wrexham. How much is it to hire a quiz machine? What is the minimum term hire for a quiz machine? Do I need a license to Site a Quiz Machine? If there is a fault with my quiz machine, what do I do? Do Amazon Leisure also sell quiz machines?